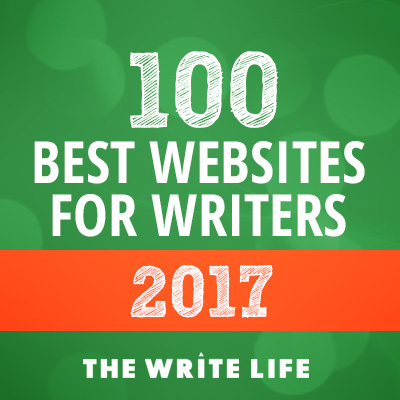 Anyone who has been submitting writing for any length of time has most likely gotten a rejection (or just never heard back) from a site they submitted to. I’ve had plenty! Don’t get frustrated, the universe is just telling you it belongs somewhere else (or so I tell myself). Be sure to keep track of where you have submitted things to help you manage what to do with it if you get a rejection or no response. Here are some options for your rejected posts that may end up being even better than your original submission intent! This is probably one of the more common things to do with a post that isn’t accepted. If it is a good fit, why not make it work for you on your own blog? Check out my interview with Blogger Rita Templeton who had a post rejected/ignored by Huffington post and then had it go crazy viral on her own site only to be picked up by Scary Mommy. File it away and rest easy knowing that you have a post ready to go for your own blog for a vacation week, the holidays, or a sick day. Some sites will suggest you make edits and/or even tell you what their issues with it were inviting you to resubmit. This is a great way to get familiar with the process of having your work edited if you have not had that experience before. This is a great option — especially if you had trouble narrowing your target site down for the initial submission. Try one of the other sites where it would be a good fit. Being rejected does not always (or usually) mean that your writing was bad. It’s often a factor of not being a good fit, conflicting editorial calendar, your connections, duplication of something recently published etc. A different site may jump at something another site turned down. One example of this might be getting a rejection from a parenting site and restructuring the post to a list type post and submitting somewhere like 12 Most or another list-happy site. You could do the reverse as well. Another example might be taking a 1000 word rejected post and cutting it down to meet the requirements for a site that asks for shorter posts. If the piece is something you really like and is similar to the writing on your own blog, why not package it as a white paper and offer it as a freebie to new subscribers? MailChimp and other programs make it nice and easy to add free downloads to new subscriber emails, and it might be an incentive to a fan who has not gotten around to subscribing , since they can’t read it elsewhere. Just because a magazine or aggregate site doesn’t accept your submission, doesn’t mean it is destined to stay on your site forever. Why not reach out to a fellow blogger you admire, and whose content it would complement, with an offer to exchange guest posts. You can drive traffic to each others site and mutually benefit. Save it for later and revisit. You may end up wanting it for eBook content, an anthology submission, a post on your own blog, a submission at a later date, a response to a blog prompt activity etc. What other uses have you found for your posts after getting a submission rejection? RELATED: Getting Rejections Is A Good Thing!